The authority says it is working to remove the netting after it was condemned by conservationists. Scientists call for global consumption of plant-based food to double while red meat intake is halved. Crews from across Northern Ireland came to the rescue of three cows in the days after Christmas. Scotland’s chief vet said the case identified on a farm in Aberdeenshire is isolated and “not the start of an outbreak”. 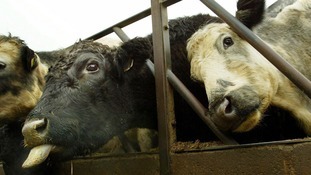 A case of mad cow disease has been detected on a farm in Aberdeenshire. The landscape is now unrecognisable as a moorland which once supported a range of wildlife.